If I asked you me to show me what your Top 10 Holiday Essentials were, I'd bet you any money you wouldn't choose to draw them by hand, create a very realistic (depending on how bad your eyesight may be) background, rope in a less than pleased boyfriend and an over excitable four month old and sit on the floor in an attempt to convey them. No? I probably wouldn't do it ever again either. 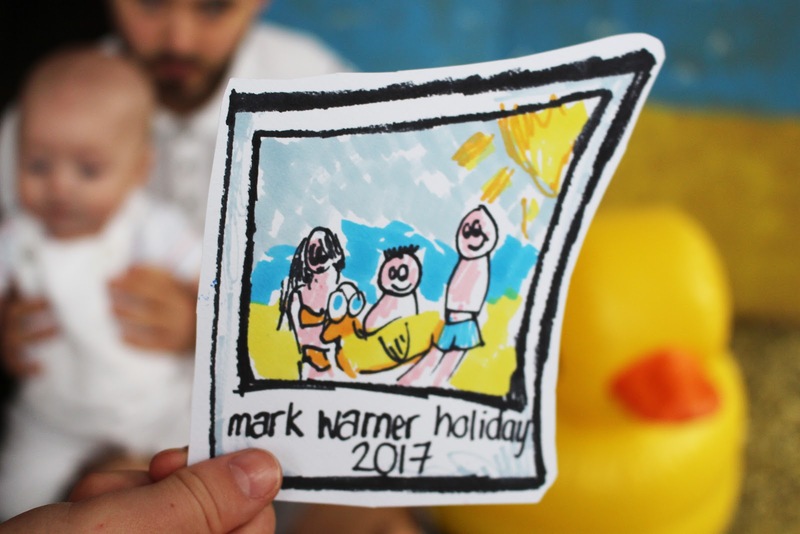 This Sunday was dedicated to our entry for the Mark Warner Brand Ambassador Competition, and it quickly became a lot more of a task than ever anticipated. In our attempts to do something a little bit more creative, we went through two cardboard boxes, one sketch book, ran out three different colored markers and overcame two full blown tantrums (mine, not the babies). But we got there in the end. Travel has always been a big part of my own life; a s a child, I never had to miss out. I was fortunate enough to be able to go abroad every summer, and my own memories of my holidays are only positive. 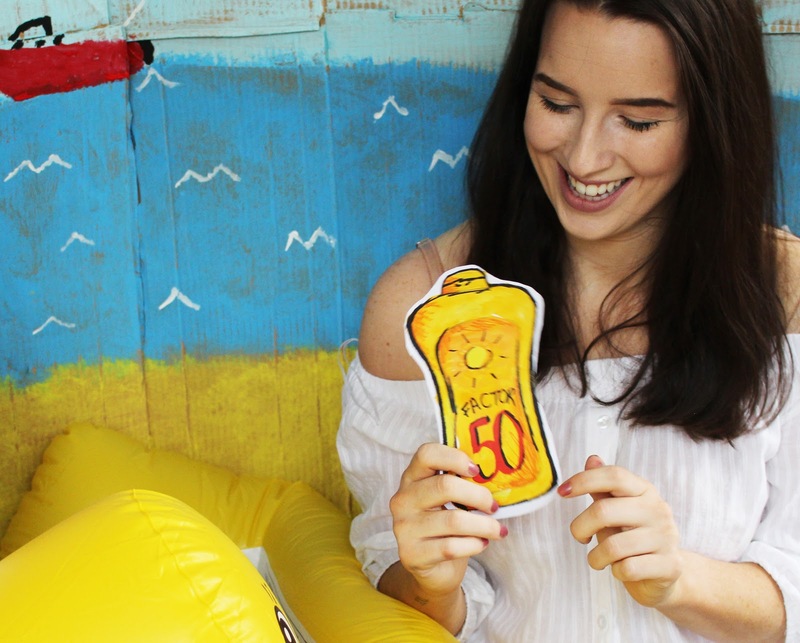 Each year I'd look forward to pretending to sunbathe with my mum, getting overly involved with water-polo with my dad, to seeing the sights, to spending too much of my time on the banana boats: I longed for summer every year so that we could have the quality time I loved so much. I can imagine nothing I'd love to do more than give Harrison the opportunity to travel, to see the little corners of the world and to be able to experience different cultures, just as I was able to. I've spent 4 months in America, three months traveling across Europe on the trains, I soaked up as much culture as I possibly could in my adolescence, and now it's time to introduce that to my own child. 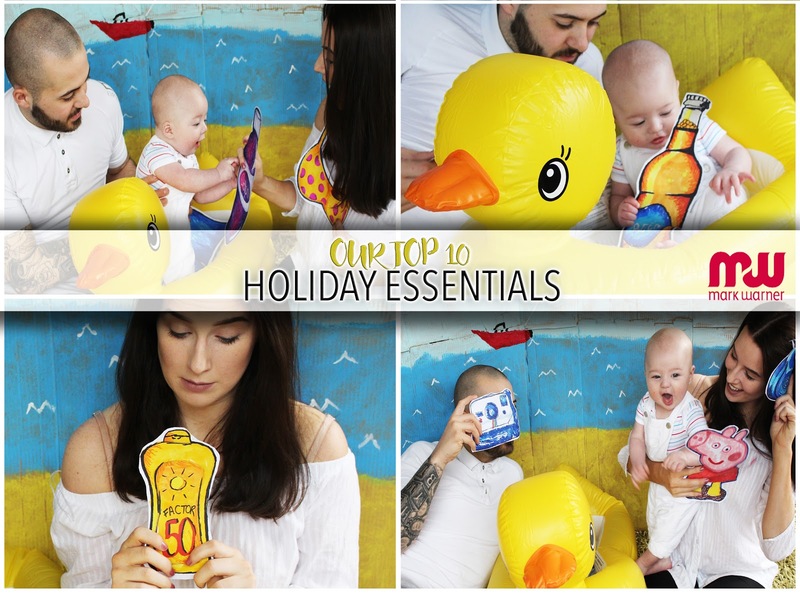 With such a young baby, we'll have plenty of travel essentials, don't get me wrong, but only being allowed ten options, we picked the ones we probably couldn't manage without. It goes without saying that we'll need our passports, but this only just makes the list because this will be the first year we'll be traveling with a baby, and therefore we'll need to get Harrison a passport in the first place. I'm someone who likes to put things off, and I have a funny feeling even getting the picture for the passport will take longer than I'd like to think, so I'll have to get going on his ticket to traveling very quickly. I'm a big sentimental person, and I'll be the first to admit that there is a strong chance I may sob like a baby when Harrison' first Passport comes through in the mail. However, we now also have the added inconvenience of having a third passport to make sure we actually bring to the airport; no matter how many times I check, I'll always be terrified I've left these key things at home (and knowing me, the one time I don't check will be the one time I have). 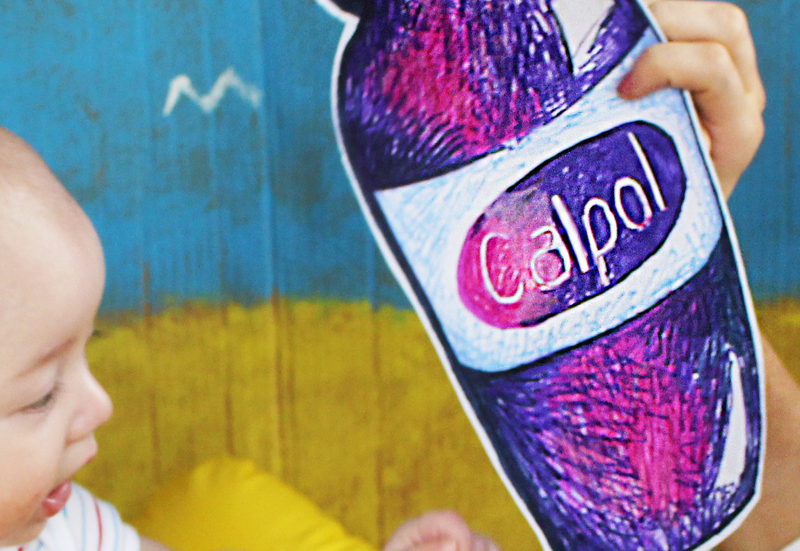 Even if we don't have to use Calpol (fingers crossed), that little purple bottle just brings piece of mind. It's sods law that Harrison will get sick on holiday, no doubt on the plane out there, but having this packed away in the case gives us that tiny little bit of hope that he might just be alright. I swear Calpol has the placebo effect more than anything else: even the sight of the bottle is enough to bring that slightest bit of relief (and hopefully to us...) - fingers crossed this is me being over cautious and we'd sail through without any illness. Even if Harrison doesn't use it, I'm sure myself or Jordan will come down with a headache that requires that tasty little magic liquid. Just because I like to pretend I'm being healthy on holiday doesn't mean we all do. If there's sun, there's a beer, or at least that's how it works in Jordans eyes - and I can't blame him, towards the end of the holiday, when we're all that little bit sick of each other I'd imagine even I would crack one open. I have such fond memories of being 5 or 6 years old, and my dad daring me to put my finger in the froth of his lager and lick it off, convincing me I'd get drunk from that alone. 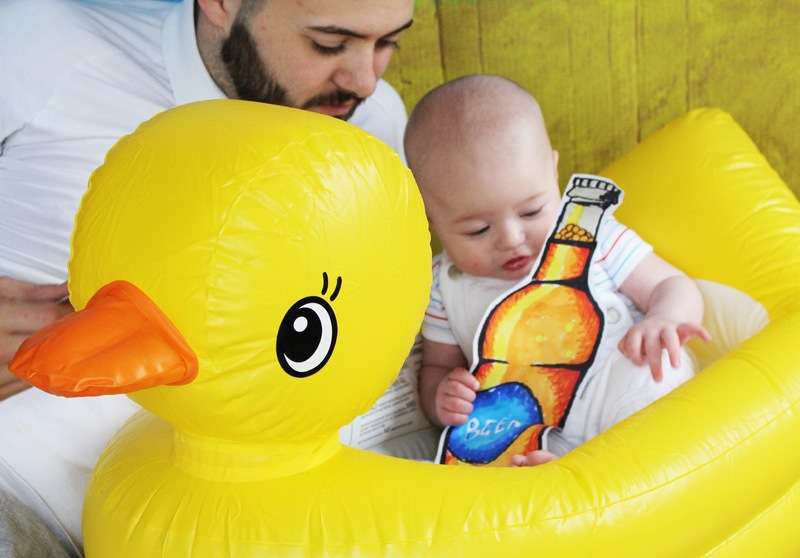 Some may call it bad parenting, I call it a way to put anyone off the taste of beer for life = parenting win. It's not the alcohol I associate with the summer, both myself and Jordan may as well be tee-total following the birth of Harrison: but it reminds me off summer; it's the noise of the cap popping off, off the lemon wedged on the rim, the smell that to this day makes me heave a little. I won't be touching a beer, but if there's a cocktail going I probably wouldn't say no. Bad mum alert. I'll be the first to admit that as the holiday comes to the end, I'll probably have to bring out Peppa in force to get a little break in the shade. Our iPad will be coming, as well as the little pig that already haunts me, only four months in. 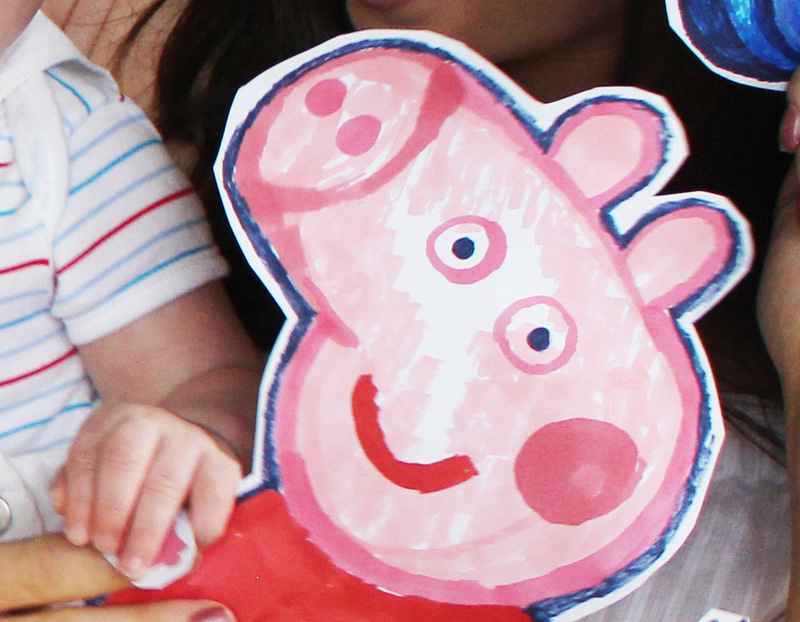 But it's ok, Peppa can be educational, can't she? I'm a big believer that a holiday should be about spending quality time with one another; being completely present for the short amount of time you get to spend one on one as a complete family during the year. 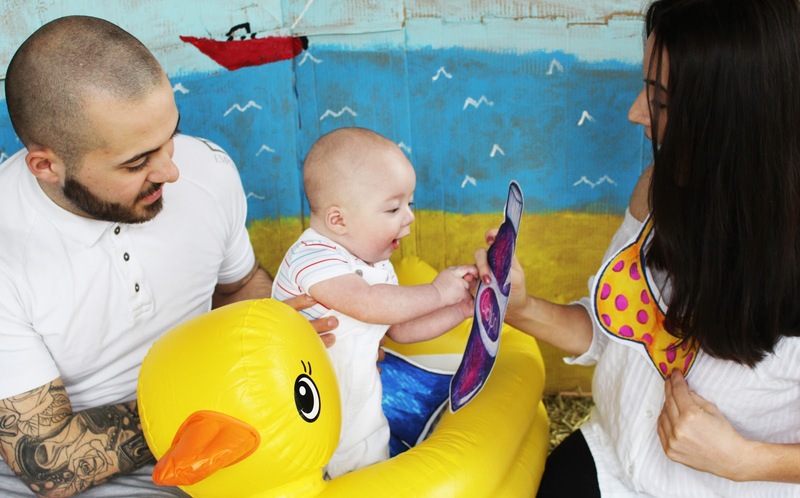 I don't want to be attached to my phone, or have Jordan glued to the football fixtures, or have our baby more invested in Peppa Pig than family time, but it goes without saying, whether you want it or not, at some point, we all need a break. On Day 14, when I'm sun stroked out my dial, Jordan's given himself a headache playing water polo and Harrison is bored of ice lollies, Peppa might just offer that break. If I brought this out for Jordan to use, I'd imagine he'd laugh in my face straight away. He is one of those lucky people that have skin that seems to simply absorb the skin and ends his holiday looking like a different race than the one he started. He goes mahogany. I on the other hadn't, go magenta. I am a typical freckled faced Scot, I don't tan, I don't even tinge. I just go red. Although I tend to just deal with my lack of color and let sunscreen fall by the wayside, we'll be a lot stricter with keeping Harrison's skin safe in the sun. 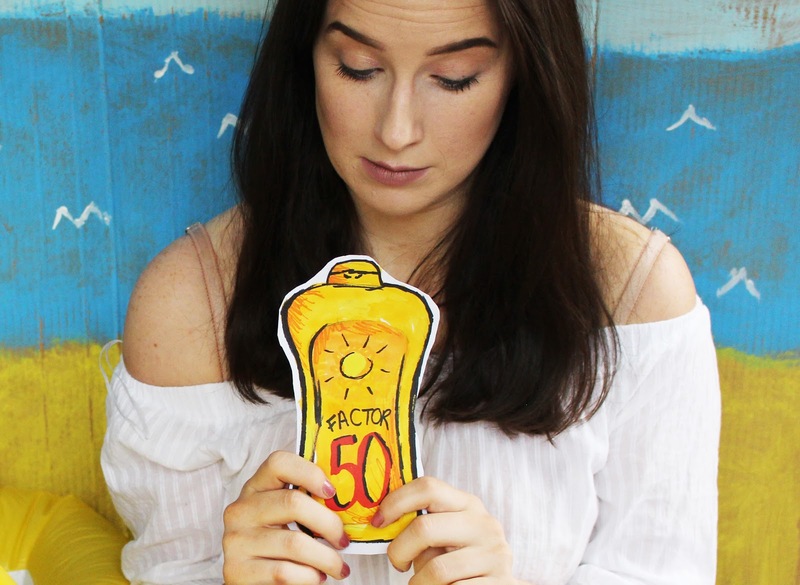 Whether he ends up sallow skinned like Jordan or porcelain like me, he'll be coated in Factor 50 from the get go. I have a blog: that alone should be enough to tell you that on holiday I take a ridiculous amount of pictures, heck, I take a ridiculous amount of pictures at home. Holidays are perfect times to make memories, and whilst it's true they'll last a lifetime, there's nothing I love more than bringing out the albums years later and looking back at some of the mini-moments I might have lost along the way. That little smile, his first holiday friends, the messy ice-creams, these are all moments I want to capture forever - so I'll be the first to have my ridiculously oversized camera strapped around my neck by the pool. Jordan might say I'm embarrassing, but he'll thank me in 15 years time. That much is a promise. Holidaying with a baby might be stressful, and towards the end I'll be the first to volunteer to leave my partner in the foreign country, but there is still no one I'd rather holiday with. A family holiday is nothing without your family, and these boys are the only two I'd ever want to travel with. (Apart from David Beckham, but I think Jordan would understand that one - he'd probably swap me for him too.) I have two adventurous and exciting boys to see the world with, albeit slightly moany. 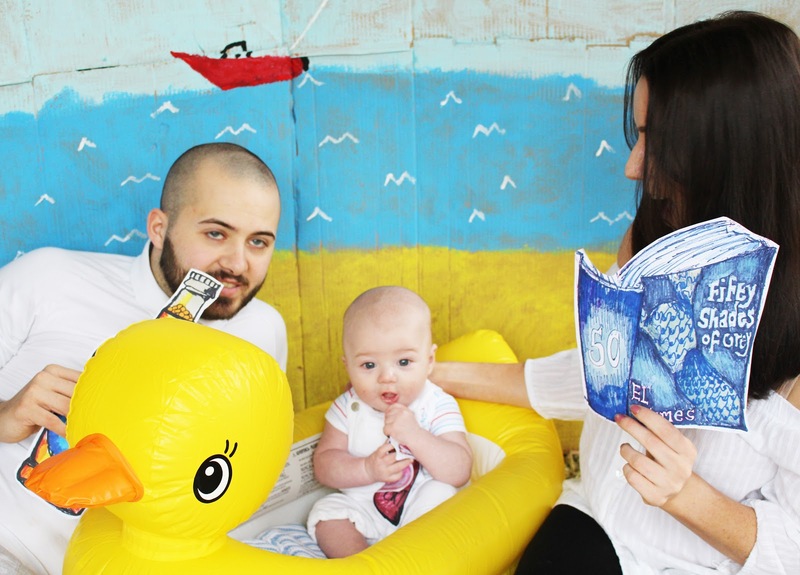 We may not be the perfect example of an ideal family holiday, but at least we're realistic. 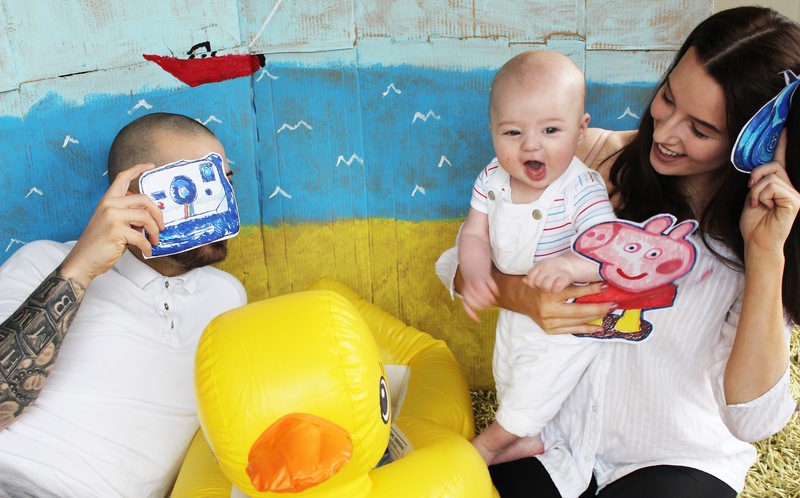 We'd love to be the next Mark Warner Family, although that inflatable duck definitely wouldn't be coming with us..